Nokia did shut down the development of new OZO Camera hardware, but stayed dedicated to the development of the software needed to run one of the best VR cameras on the market. For some short time, we weren’t sure if Nokia will continue to develop OZO Audio software that brought a piece of high quality special sound recording, but things turned out well after all. Nokia said that it will still support OZO camera and continue developing the software for OZO, and that applies for OZO Audio found on Nokia 7 and 8. Nokia has updated the OZO Player SDK (software development kit) to version 1.4.0, and the software is already available for download. This software enables developers to quickly add VR and mixed reality playback support to apps across all major viewing platforms. 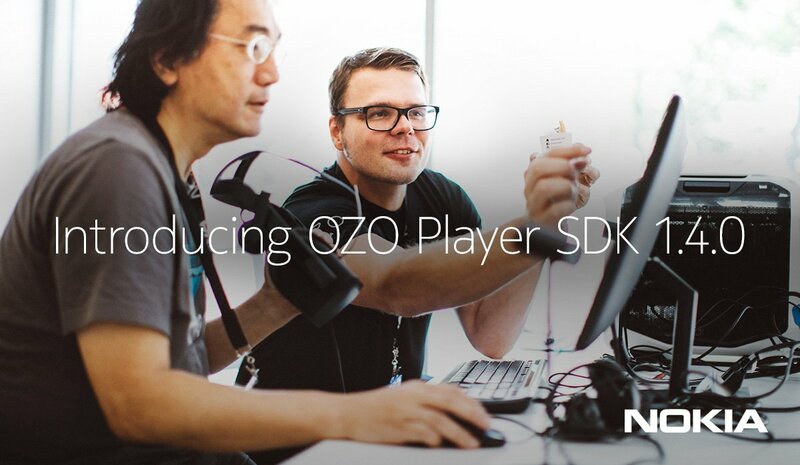 OZO Player supports platforms like Microsoft, Oculus, Samsung Gear VR, Daydream, Google Cardboard and Vive. Develop apps for Microsoft Mixed Reality headsets with full Universal Windows Platform (UWP) support. New Viewport Adaptive Streaming (VAS) compatibility with OZO Deliver enables efficient video delivery of high resolution 6K and 8K content over ABR. Enable user-selected video switching or video synchronization with video-in-video functionality. This feature, available in our Unity plug-in, allows you to add multiple 360, 180 or regular video feeds directly into your VR scene. Go to ozo.nokia.com to read more about the OZO software and OZO camera.